Discussion in 'Announcements' started by Navarr, Mar 23, 2019. DatGamertje, Sevy13, UnqualifiedNoob and 25 others like this. First! Haha, So excited to come check it out! _Swipe, Superbob1000, Fluffoon and 2 others like this. Oeee sounds slick, let's go! YES! I've been wanting to hear some news on this for forever, and I'm so excited to try it out! Is there a preview of this anywhere? Like a short gameplay video? Fluffoon and Mohawk2 like this. Fluffoon, noobfan and Mohawk2 like this. They did a couple streams that are still on the shotbow youtube channel. zoomninja3000 and LegendaryAlex like this. DutchSurvivor, Fluffoon and Mohawk2 like this. So does that mean Wasted is coming back next then!? Gold rush was fun and all but... I think Dev time would be better spent on a more loyal player base. looks like you were wrong about gold rush. I remember you saying that they gave up on the project and lost interest. Who ever you talked to about it fed you false information. 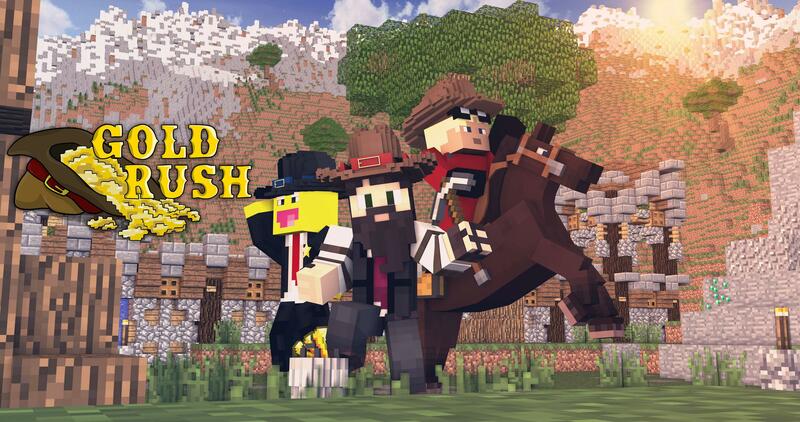 Welcome to the game mode all about the California gold rush of the 1850's! Except there is no panning, no economy, no wagons, no personal property laws, no taverns, no businessmen, no prostitution, no Indians, no dysentery and especially no repercussions! Hold onto your butts Forty-Niners and Californios! Its time to put away the guns and tobacco and pull out your granpappies rusty medieval sword and get shifty! Fluffoon, zoomninja3000, Mohawk2 and 1 other person like this. I don't believe I ever said such things maybe it twas another project you confused gold rush with, I have however joked about it taking them a few years to finish and here we are still in the works. This thread has so many likes/replies, and it's making me happy because people are actually getting hyped for something on shotbow again. It's a good sign! LegendaryAlex, Fluffoon and Mohawk2 like this.